Do you want to join our Street Team? Then you are in the right place! Help us get the word out about the great Christian music and programs that can be heard on 96.9 KVMV. 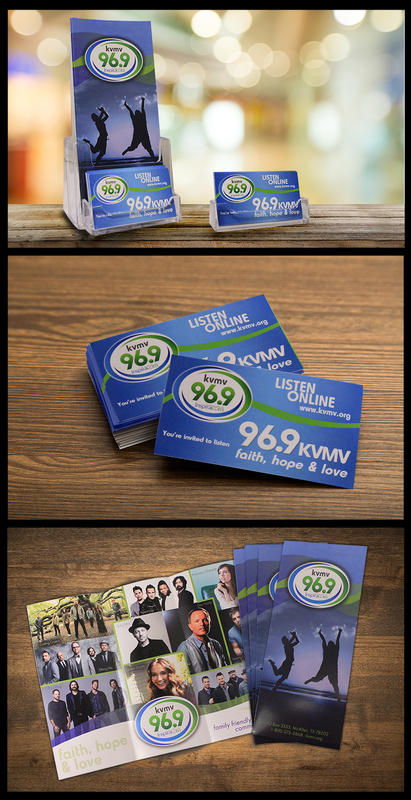 If you have counter space in a high-traffic area where you can display our invitation to listen cards or our station guides, or you would like a handful of our invitation to listen cards to pass out to friends, family or even co-workers, then we need you for the 96.9 KVMV Street Team. Please complete the form below to request your display. Are you a New to KVMV? Click here to sign up for our New Listener Pack. Please send the small invitation cards with a displayer for my business. Please send the large display with schedules and invitation cards for my business. Please send me some invitation to listen cards without a display.